One very interesting trend to start with is that the number of Arabic search queries super passed the English search queries for the first time on Egypt Yellow Pages. 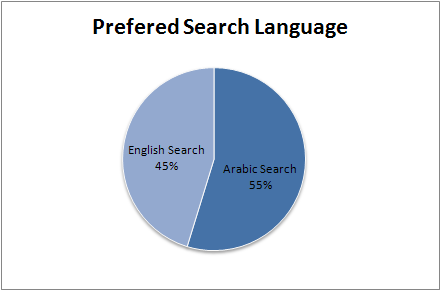 Arabic is now taking the lead with 55% of the search queries while English queries presents 45% of the total search. Restaurants are in the lead this year after switching places with hotels which comes in the second place. 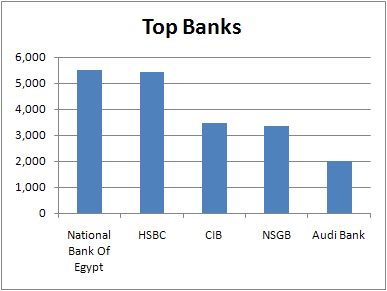 You can notice how consumers are searching through the site by looking for pharmacies (4th), banks (5th), furniture (8th) and schools (9th). 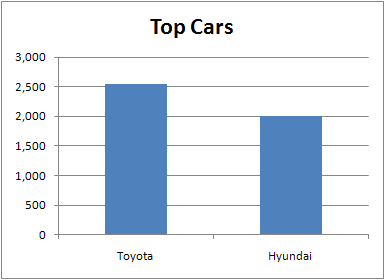 Also increases B2B searches are noticed like company(3rd), Factory(10th), Real Estate (6th) and advertising (7th). 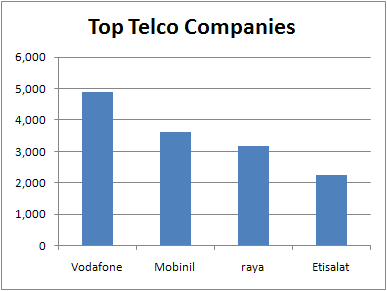 and the first places goes to… Vodafone, followed by Mobinil, then Raya and finally Etisalat in the 4th place. 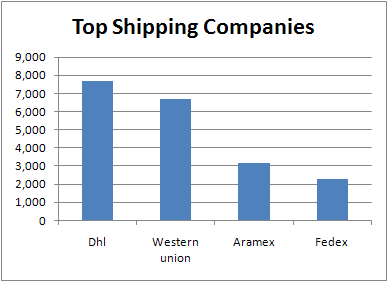 4 shipping companies show in the list of the top 100 searches on Yellow.com.eg, with DHL taking the lead searches, followed by Western Union, Aramex and then Fedex. 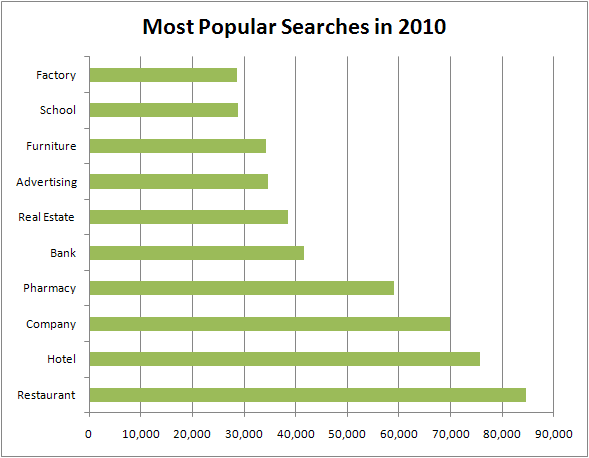 With restaurants being number one category for 2010, the top 100 most popular searches list contained 9 restaurants and cafes. Cilantro the most popular local cafe in Egypt, followed by the restaurants Spectra which is very well known in the neighborhoods of Maadi and Mohandeseen, but it seems that nothing else can stand in the face of Egyptian cravings for fast food, you will find among the top list KFC, Cook Door, Pizza Hut, Burger King, Mo’men. Finally Roastery, maadi and heliopolis favorite hangout comes in the list and finally La Poire, the most popular Egyptian patesserie. Happy New Year to all Egyptians! Yellow pages are providing most benefits for its users in everywhere specially in Egypt. Because in my opinion there are much number of marketers taking benefits through its usage and trying to expand their business through internet Yellow pages. Hi Yellow pages are providing most benefits… but i saw one Business Listing Directory , this web site is easy way to submitting our bussiness and article Submission it is very helpful to all……. thank u….